The US has sanctioned some 271 Syrians who Washington believes are involved in the research and production of chemical weapons. The move is yet another retaliatory measure for the Idlib incident which was pinned on Damascus without any investigation. Washington believes that SSRC members were responsible for developing the sarin gas allegedly used in the April 4 Idlib chemical attack. “These sweeping sanctions target the scientific support center for Syrian dictator Bashar al-Assad s horrific chemical weapons attack on innocent civilian men, women and children,” Treasury Secretary Steven Mnuchin said announcing the sanctions. The sanctions will see American banks freeze the assets of any individuals placed on the list. The new punitive measures also ban US companies from conducting business with them. This is not the first time that Washington has placed sanctions on individuals connected to the activities of the SSRC. Just before the Donald Trump administration took office, on January 12, the US Treasury went on to sanction six Syrian officials connected with SSRC work. Monday’s sanctions are the latest “retaliatory” measure taken by the Trump administration in response to the April 4 chemical attack on Khan Shaykhun, which has so far seen no impartial or professional investigation. Just 3 days after the chemical incident, the US navy launched 59 Tomahawk missiles against a Syrian air base. 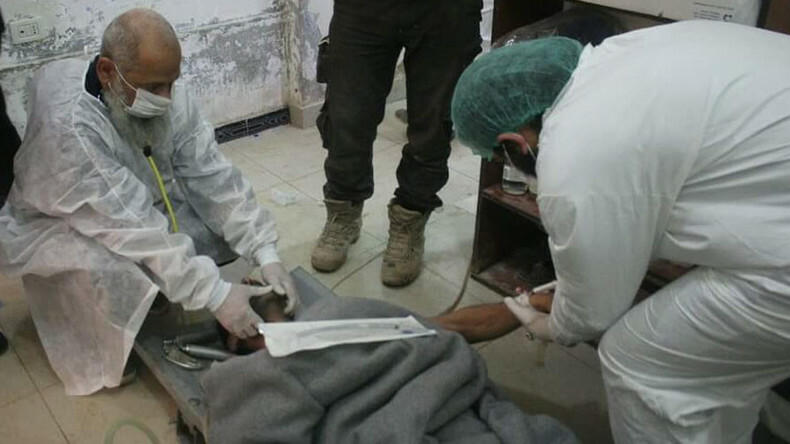 As many as 100 people were allegedly killed and several hundred injured in the April 4 chemical attack in Idlib. The US has pinned the blame on Damascus, claiming that it hid chemical weapons stockpiles from the Organization for the Prohibition of Chemical Weapons (OPCW) after pledging to hand them over in 2013. The accusations have been echoed and supported by US allies in Europe and the Middle East, who praised Washington’s unilateral intervention in a sovereign state. On Monday, the UK for instance, was again quick to welcome the unprecedented scale of US sanctions against Syrian individuals. “Sanctions send a clear signal that actions have consequences and seek to deter others from a similar acts of barbarism. We welcome the role sanctions play in increasing pressure on the Syrian regime to turn away from its military campaign,” Foreign Secretary,Boris Johnson said in a statement. According to Moscow, however, by blaming and serving its own brand of justice, the government of the United States is rather trying to distract the international community from the necessity of a thorough investigation of the Idlib incident. “Once again we see how the sanctions are being used not as an instrument to achieve a real goal, but as a demonstration of a theatrical decisiveness, an effort to substitute or cancel the investigation by the very fact of punishment for an ostensible evidence of guilt,” said Konstantin Kosachev, the chair of the Russian upper house of parliament's Foreign Affairs Committee. 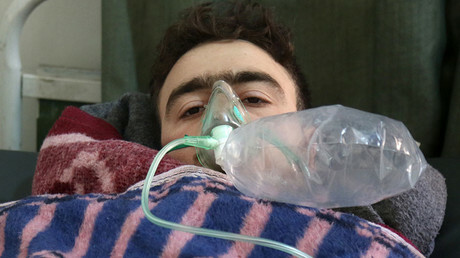 Following the April 4 incident, the Russian Defense Ministry issued a statement saying that the Syrian Air Force was targeting a militant arms depot that is believed to have contained some chemicals used in the production of gas-filled shells previously used by rebels against government forces in places like Aleppo. But while the West continues to be in tune with Washington, Moscow, from the onset, insisted on a thorough investigation, including an on-site inspection in rebel-held territory, arguing that the US reached premature conclusions. However, the executive council of the Organization for the Prohibition of Chemical Weapons (OPCW) rejected a proposal from Russia and Iran to examine the site of the chemical incident in Idlib province. The UK and France have meanwhile claimed that their experts have “received” samples from the site of the incident, which they passed on to OPCW labs who then identified the chemical agent used in the attack as sarin gas. The Russian military, however, questioned the swift analysis of the samples, adding that it wanted details on who collected the samples and how they were studied at OPCW-designated labs. This has not been disclosed. 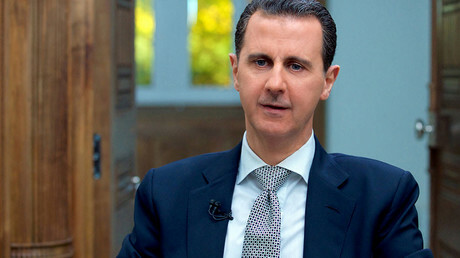 On Friday, Russian Foreign Minister Sergey Lavrov said the fact that Russia’s proposal of an on-site investigation was “blocked by Western delegations without any explanations” exposes their aim to topple Syrian President Bashar Assad. Lavrov said that it was now “obvious” that “false information” was being used to escalate the war in Syria into a full-scale invasion.